"We also note the launch of the ... Digital Opportunity Index, which will build upon the common set of core ICT indicators as they were defined within the Partnership on Measuring the ICT for Development. " The DOI consists of 11 internationally endorsed ICT indicators classified in three categories: Opportunity, Infrastructure and Usage. 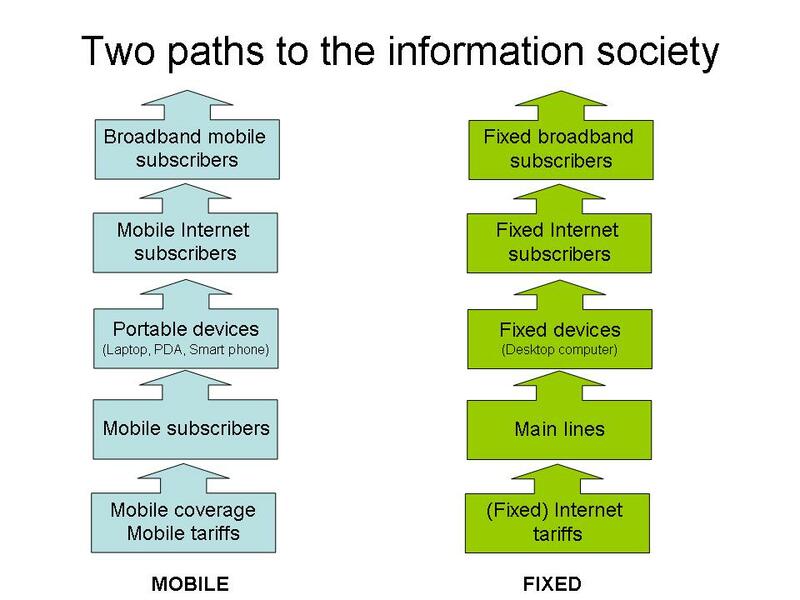 One of the highlights of the DOI is its ability to analyze ICT development along both a fixed and wireless path (see figure). 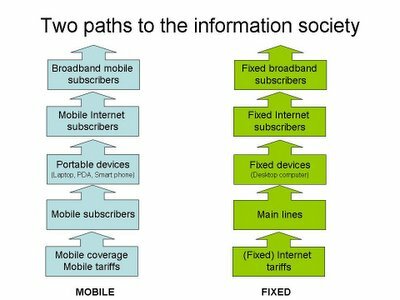 This reflects the importance of mobile communications for reducing the Digital Divide around the world.